Having grown up in India, this is one thing I have learnt and experienced. Each state has such different cuisines, that one cannot help but marvel the fact that even with limited ingredients there could be so many variations of a single recipe! ‘Kadhi’ is one such dish of which I know at least four variations: the Kadhi Pakoda (from Uttar Pradesh), Punjabi Kadhi, Rajasthani Kadhi and the Sindhi Kadhi…all of these have distinct taste and I love them all. 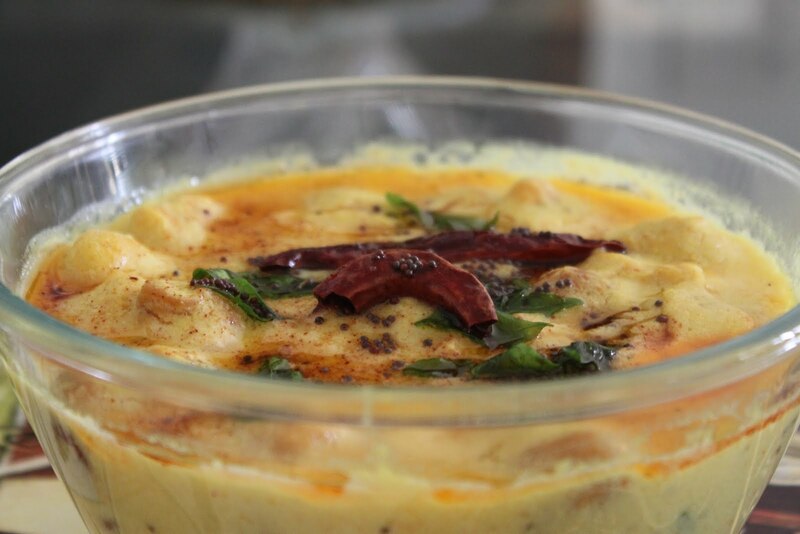 I start with the recipe for the one from my native state – the Kadhi as prepared in Uttar Pradesh. In the days to come, I will blog the recipes for the other three. You can try these yourself and decide which one’s your favourite! This one is my favourite. Really love this……….. It's a pleasant surprise to know that you unlike ur brother like kadhi, it's my favourite too…will make it for you, next time when I am in Jaipur!! You could double or triple every ingredient, that's what I do when I am cooking for more…tell me if this works?